From beautiful and delicate to steadfast and timeless, the aromatic to images of rebirth, various flora have been used as metaphors in poetry, art and music for centuries. The recital highlights how different composers have chosen to depict flora in music to create moods, arouse images and express love. 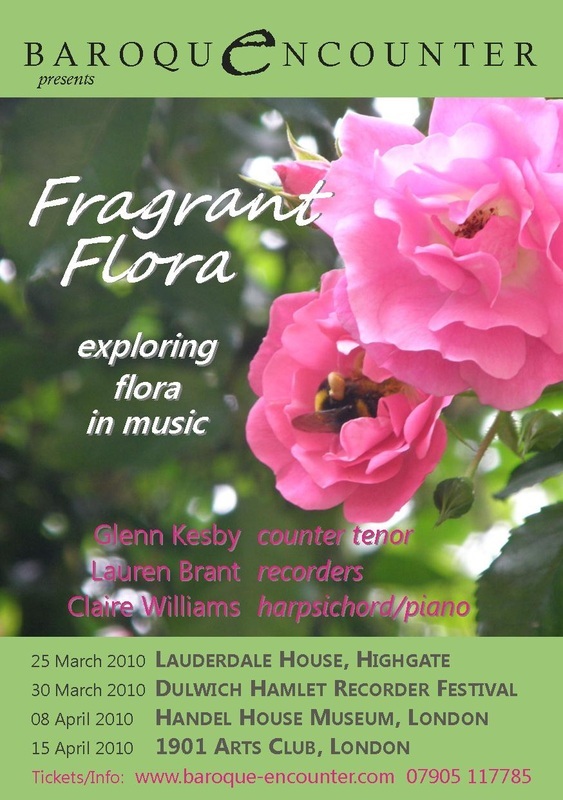 Beautiful and wonderfully varied music is drawn from Arne, Couperin, Van Eyck, Hasse, Handel and Pepusch's wonderful spring cantata Fragrant Flora. This is a perfect partner for the Baroque Birdcage programme.